Givenchy has given a glossy a makeover. Take a look at Givenchy’s latest revamp. 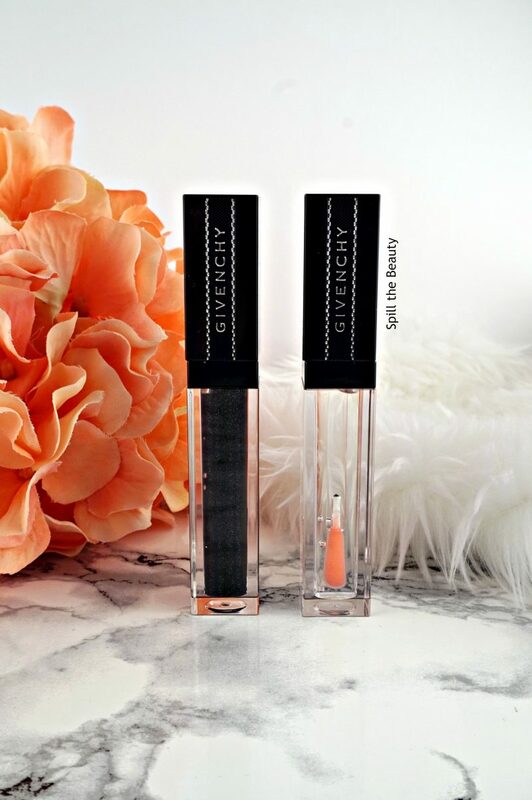 The Givenchy Gloss Interdit Vinyl ($30 USD/$37 CAD) has a new formula and upgraded packaging. It comes in three new shades that can be applied on its own or as a top coat. Each gloss comes in a clear square tube with a black cap, accented with black and silver branded lace. Each tube contains 6 ml of product. 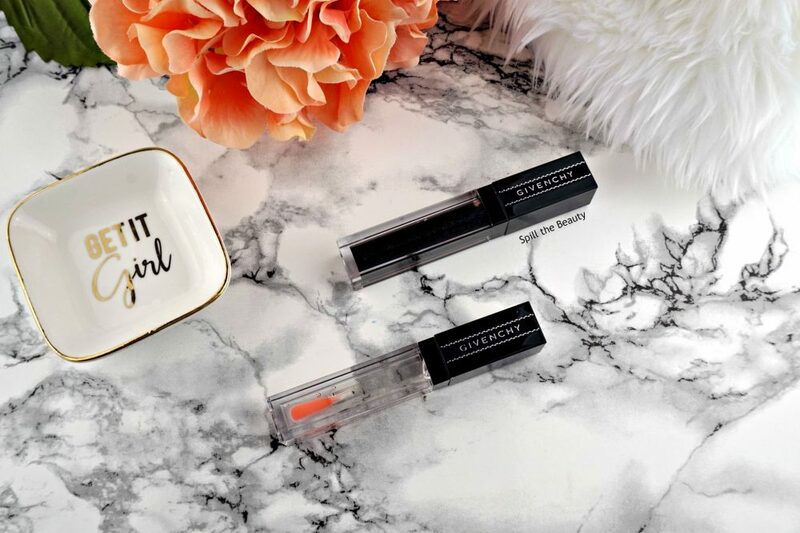 The applicator is really cute – its tip is in the shape of the iconic Givenchy G.
I’m not someone who likes to layer glosses on top of lipsticks (the lipstick underneath tends to lift and stain the gloss applicator), so I looked at these as stand-alone glosses. Rose Révélateur (N°1) is a clear gloss that warms up to a more rosy colour according to your natural lip shade. It was light and comfortable, but not too pigmented. Noir Révélateur (N°16) is a translucent black with sparse sparkles. I imagine this would look a lot better placed over a lipstick, but on its own, it just didn’t do it for me – it just seemed a bit…..incomplete. 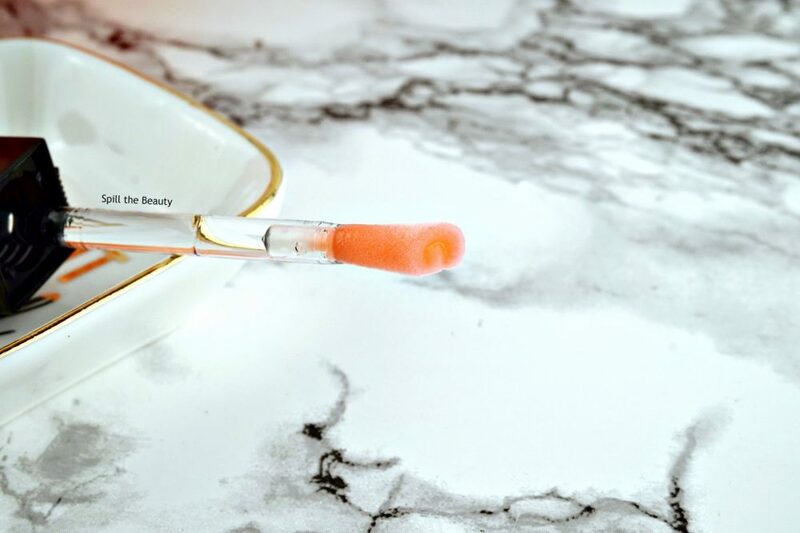 Although I love the idea behind the G-shaped applicator (it’s so cute!) it wasn’t practical. The spaces in between the letter trapped product and made for a streaky application that had pools of product in random places. These were a miss for me, but it’s important to remember that I’m not really a gloss gal. 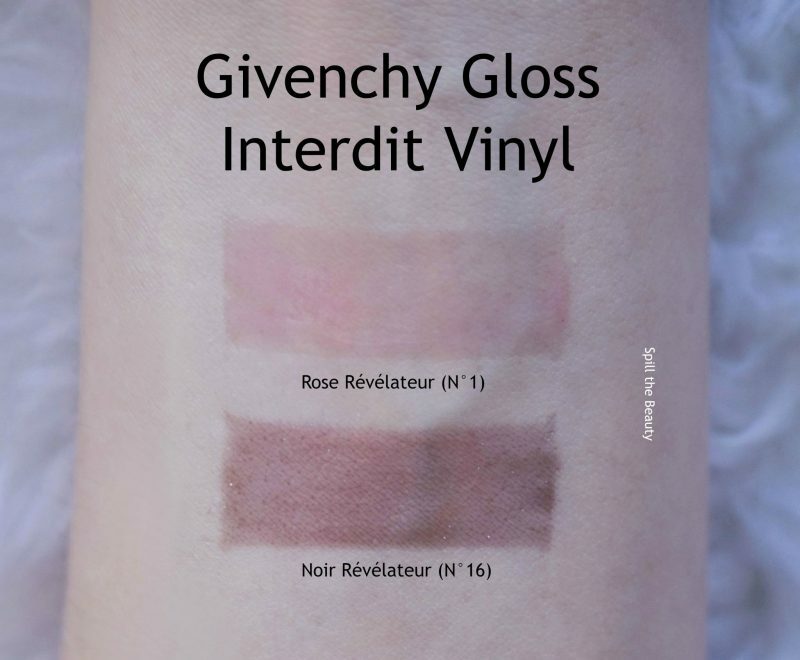 You can find the Givenchy Gloss Interdit Vinyl at Sephora.